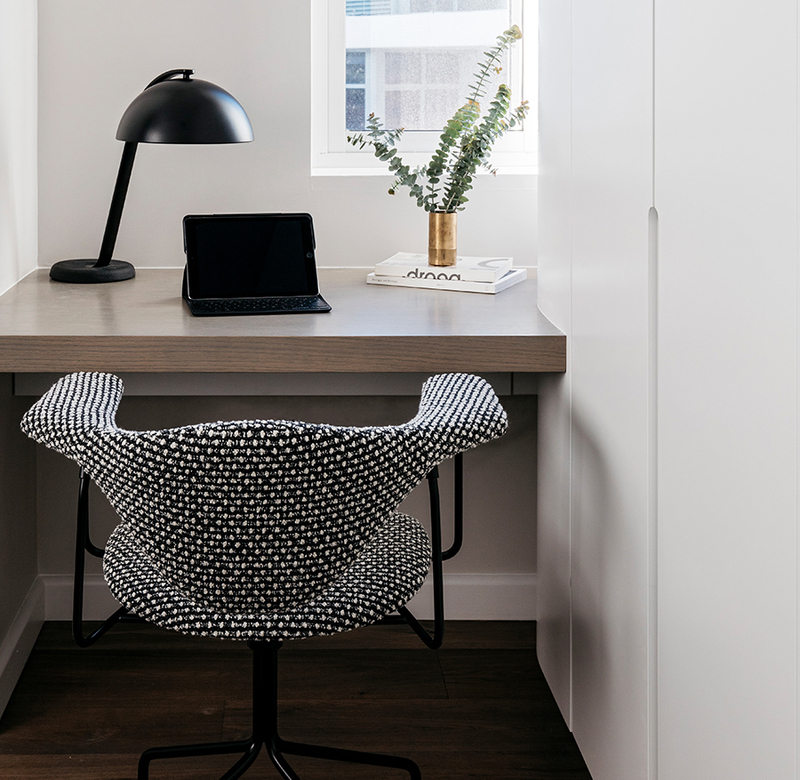 Working with a palette of muted tones and crisp and clean finishes, Decus Interiors has created a seaside home in North Bondi for a busy professional. The wonderfully minimal and pared back interior is a refection of the calming oceans views from the apartment. Decus Interiors introduced feminine curves into the interior to keep the space organic and feminine, such as the flowing bespoke solid bronze ribbon flowing down the staircase acting as a balustrade. The compact interior was designed cleverly to accomodate the clients busy lifestyle extended family, a testament to the fact that beautiful and thoughtful design doesn't necessarily need a large footprint.